Debi, It's been another month already!!! This past month has been busy and the remaining summer months will be just as busy. One of the things on my mind of late is commitment. How can we serve the Living God if we aren't committed to Him? How can we say that He is our Lord when we aren't committed to Him? I've been a Christian for some 30 years. In that time, whatever church we were a part of, we were committed...committed to God...committed to the church...committed to the pastor...committed to the church family...to the events...we were committed! Today, I find so many Christians that come to church on Sunday morning and that is the extent of their 'commitment.' Again I say...how can we serve the Living God if we aren't committed to Him? What is YOUR committment like? Mandy, I'm a Janitor...I clean my Church and I clean my bank...no one really notices me and for the most part that's ok. No one really says anything about my cleaning and most days that's ok. Some times though that little voice creeps in..."I'm tired of picking up everyone else's mess and no one even noticing me!" I've never felt like the stereo-typical 'ewww she touches toilets!' janitor in my 2-ish years of cleaning until the other day...I had someone blatantly look down their nose at me and I could have cried...what the heck am I doing this job for...no one cares not the church not the bank no one...but thank God for a friend in an unexpected place...she told me in the quiet places when no one else is around, no one is looking at you and you seem alone that's when God's looking at you...your hands are worshipping Him while you work. Hum a song to Him and smile while you work. I work for God...I've always known that...He's the one I quit my job of 6 years for, He's the one that put me in this now Janitorial job...He's the one that lets people know to tell me whether I'm doing a good job or not...whether they are listening to Him is a whole other story... so I will hum my worship song, I will worship Him with my hands and I will continue on...the God of the universe loves me (even when I forget that He does) and I work for Him. Shari, These past few months have been difficult ones for our family. Our time and energy has been focused on my precious mother, as we have moved her into an adult assisted living facility. The word dementia is a difficult one to understand unless you've been the one who has been struck with this unforgiving illness, or walked along side a loved one who is in the middle of losing their memory. We've spent our time fixing up her new surroundings, and making her feel as comfortable as possible as she gets used to her "new home." Many hours during the week are spent visiting her, reassuring her, taking her to appointments and church. It's not a burden to take care of her by any means....we would give the world to our mother if we could, after all, she spent year after year taking care of us. It's the least we can do to be the hands and feet of Jesus to her. 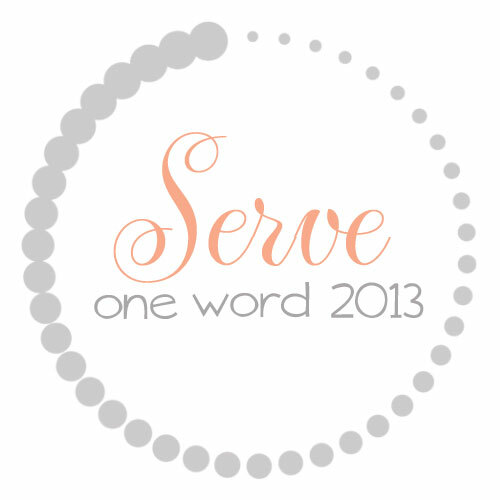 Jenifer, This month, serve has looked different for me. The past few months have been difficult for me. My family has had some financial struggles. My husband is working out of town so he is very tired and we don't see much of my husband/their daddy. Baseball season has started for my boys so our nights are super busy. We are starting new things at church and planning/preparing is keeping us extra busy. Life has just been hard lately. One day I was praying, and stressing some, for all that we are going through and I felt God say, "Just praise Me. Thank Me for everything." So I did. I started simply praising God. For everything. As I drove my car, I praised Him for my car, my insurance, my gasoline. As I showered in the morning, I praised Him for hot water, soap, and shampoo. As I laid down at night, I praised Him for my the roof over our heads, the lock on our door, the bed we laid in, the blankets we covered with and the pillows under our head. I was very specific with each and every thing. My circumstances have not changed. My family still has financial struggles. We are still crazy busy, even busier actually. But praising God for every little thing, I mean every single small detail, has shown me that serving Him is so important in the good times and in the bad. In free time and in the busy time. That I need to have a heart of gratitude to fully serve Him. Try praising God for every detail and see how your heart opens. How did you experience servant hood in May? Comment below and share your own experiences.